There is a sort of sadistic pleasure taken in rooftop dining; they are down there wretched and ant-like, while you are up high, fed and upholstered. This is one lure of the Jam Shed Supper Club on London’s Southbank. This pleasant space in St Paul’s Pavilion at the very top of Royal Festival Hall, features a long terrace and the capital’s skyline on one side, and a shaded garden enclosure for an aperitif on the other. 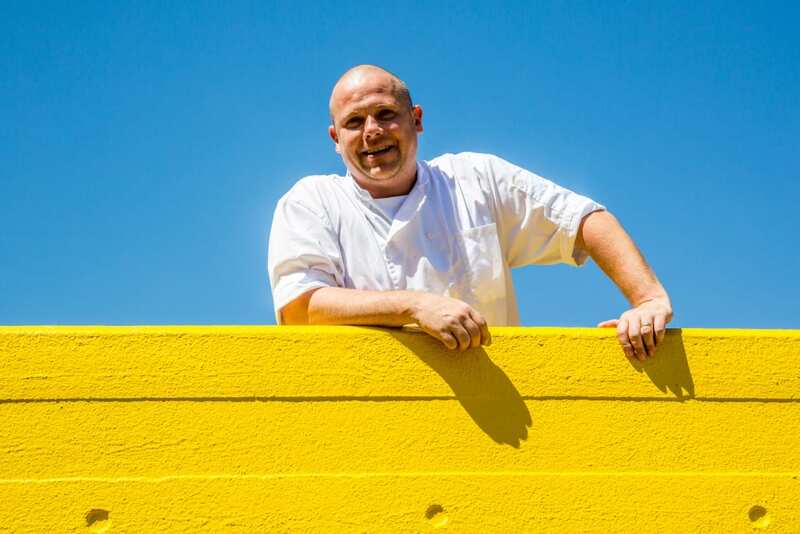 As you watch Londoners inch across Waterloo Bridge, another draw is the prospect of a Masterchef finalist cooking your supper. 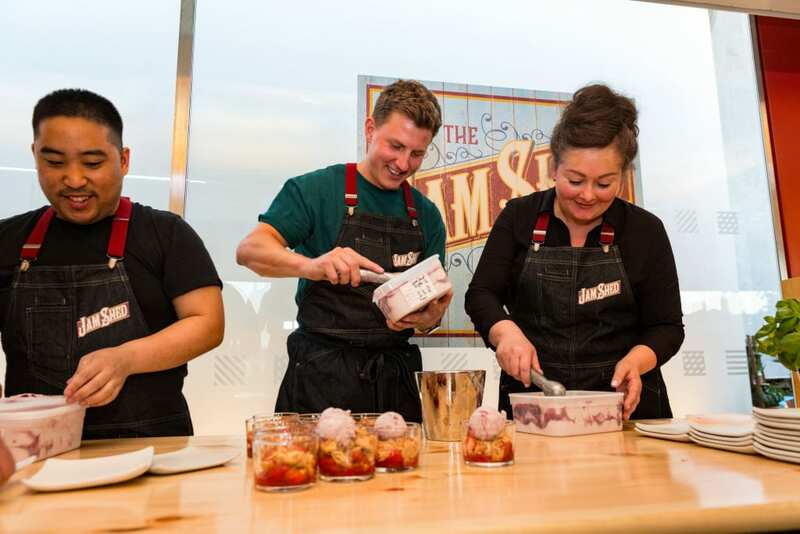 Over the course of six weeks, between July 24 and September 8, six finalists – Steve Kielty Alexandra George, David Christen, Emma Spitzer, Nawamin Pinpathomrat and George Kallias will be given a week to do their culinary stuff at Jam Shed. The menus are unique to this event and consist of sharing plates and mains, taken in the communal supper-club mode, and diners have the option of a 6.30pm or 8pm sitting. Steve Kielty wasn’t pulling punches during the session I attended, hitting us diners with a meaty starter and main. It kicked off with a loaf of ham hock in aspic that dominated the centre of the table. Around it worked two salads: one carrot with parsley mayonnaise, the other of grelots, salted ricotta and roasted lemon – the sea trout and beetroot salad alternative was gate-crashing. Nicely fortified we next received Steve’s barbecued, glazed and dry-aged Hertfordshire brisket served with an attractive green coriander ketchup. Its accompanying corn relish: great, ditto the hot orange sauce. The sweet potato salad: not so. Still, in all, most agreeable, and the Scottish raspberries with raspberry sherbet and orange blossom for pudding followed well. Their craft beers are very good too, the silly names notwithstanding: Hepcat Session IPA and Beatnik Pale Ale. These modern brews are typically solid and fruity in the mouth but clear nicely ice cold. The wine list is completely new world, and I didn’t go there. It was a sweltering evening and I needed something to gulp. 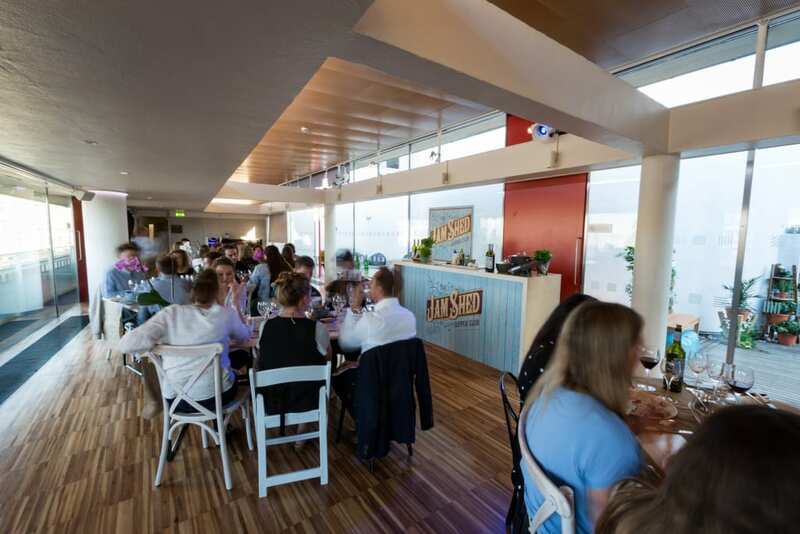 At £47.50 (including a £2.50 booking fee), Jam Shed Supper Club is very reasonable with chefs that feed you well but with verve. The Jam Shed Supper Club, St Paul’s Pavilion, Royal Festival Hall, Southbank, London, July 24 to September 8, sittings at 6pm and 8.30pm. For details or to book, click here.